Vintage Japanese Vintage Old Hand Tinted Colour Postcard. 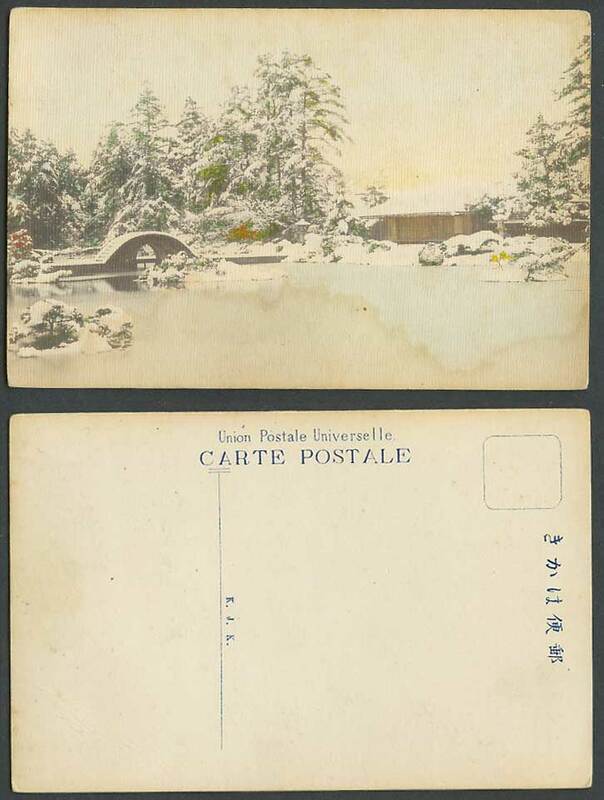 Japan, Asano Asano's Garden, Hiroshima, Lake, Arch Arched Bridge, Gardens. Winter Snowy Scene. House. Hiroshima. 廣島 淺野泉邸.